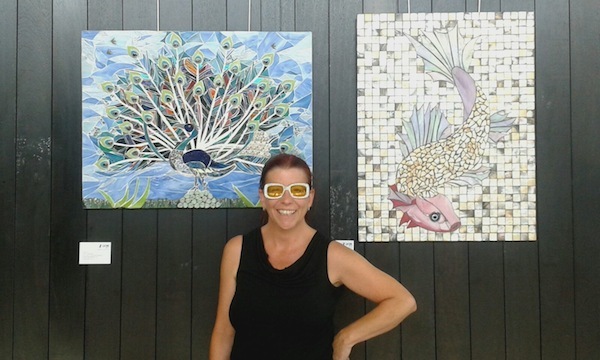 Emma Law, highly skilled in the intricate art of mosaic, has a new exhibition at The Zoom Arts Gallery at Warrior Square Station, a celebration of mosaic art entitled, Love. Zelly Restorick writes. I discovered Emma’s work when she had the most beautiful mosaic, Tree of Life, displayed in Love Cafe in St Leonards and have since seen a number of her designs – and watched her at work. Making a mosaic definitely requires a patient temperament, an eye for detail and colour. Emma, who’s a human-dynamo and bundle of smiling energy and creativity, also runs workshops for various groups in the local area. She brings a unique view into an art form that demands focus and time. These labours of love are available to view from now until Sunday 18 September 2016. Opening times are 10:30am until 4pm. Preview night will be Friday 16 September 2016 from 7pm – 9pm. 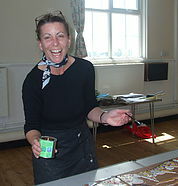 Emma will also be holding a mosaic craft workshop. If you want further information, please email Emma at mosaicmalarky@gmail.com. 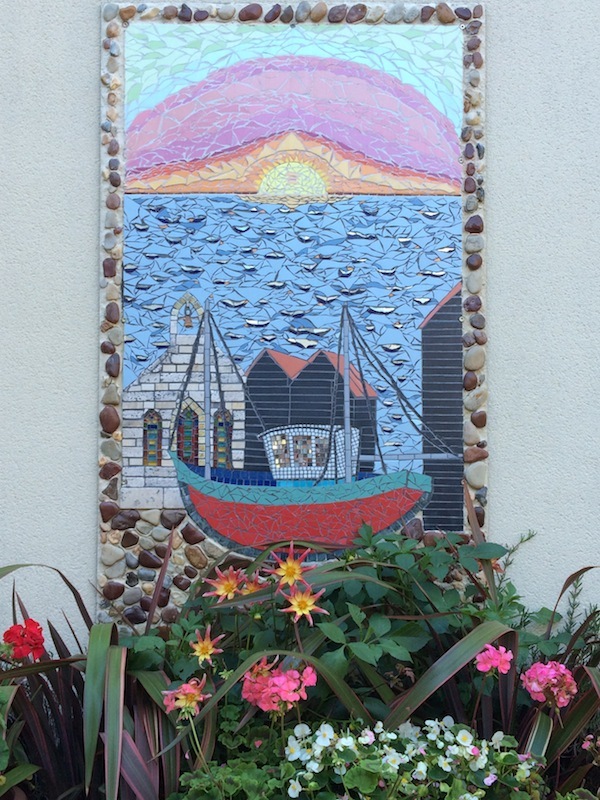 This beautiful mosaic art is free to view, so come along and support a local artist. 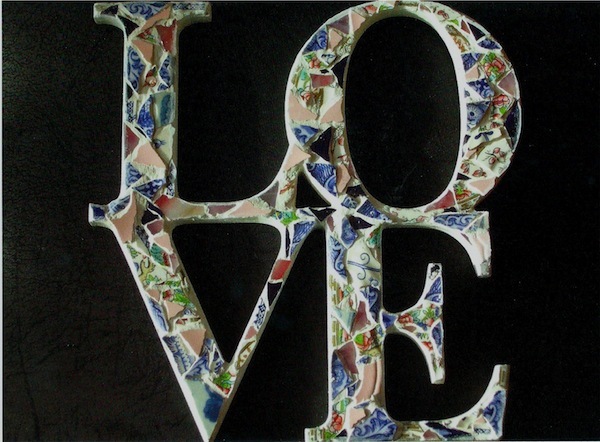 A good positive image I use on my Mosaic Malarky FB page … When I mosaic, I create harmony from shattered pieces! I love living and working in Hastings, the town has a rich history and a quirky diversityand has been a hub for artists for many years. The fishing boats, lapping sea and beautiful surrounding countryside give me much inspiration – good subjects for mosaics too! Do you take on commissions – and how can people contact you? I am definitely keen to take commissions, provide advice, and offer tutoring to create mosaics. Best to look up my website for contact info and examples of the work I have done. Much of my work is community based – working with a wide range of ages and abilities. I am also looking forward to collaborating with Transition Town in creating a public community mosaic just outside the Zoom Arts room at the Warrior Square Station approach 2017 spring / summer. We will be offering local residents an opportunity to take part; we’re at the early stages of applying for funding at present, the station manager is supportive and keen to involve the local community. 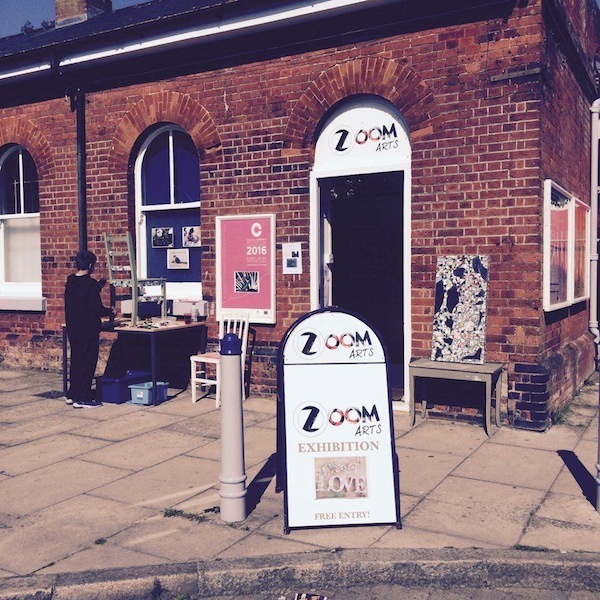 Zoom Arts Gallery, Warrior Square Station, St Leonards-on-Sea, TN37 6BS : From now until Sunday 18 September 2016. Opening times are 10:30am until 4pm. Preview night will be Friday 16 September 2016 from 7pm – 9pm. Mosaic Malarky website here and Facebook here and more info on the artists’s group, Zoom Arts Hastings here.